So today marks the 350th anniversary of the signing of the land grant that awarded John Lord Berkeley and Sir George Carteret the lands between the Delaware and Hudson rivers. The property transferred via this very lucrative real estate deal was named after Carteret’s ancestral home, the Isle of Jersey. In other words, it’s New Jersey’s 350th birthday. I wouldn’t want to be accused of crass commercialism or anything like that — heavens no! — but I can’t think of a better way to mark this by occasion than by buying a book or two that’s related to New Jersey history. Do I have any suggestions, you want to know? Funny you should ask! I can think of at least two, right off the bat! 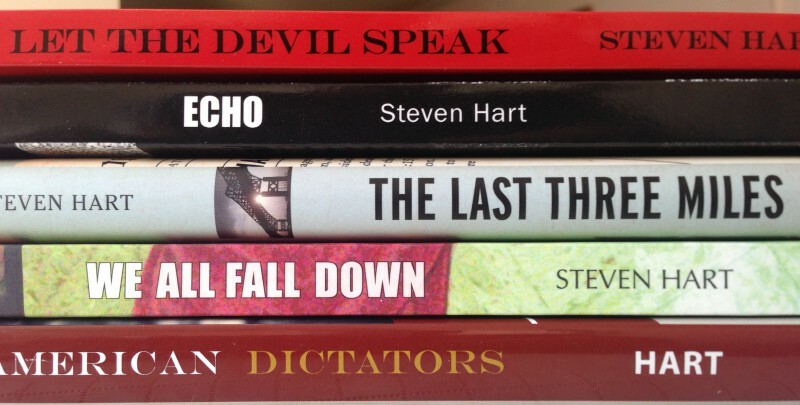 First there’s American Dictators, my dual biography of the notorious political bosses Frank Hague (ruler of Hudson County for three decades and a national player with enough clout to intimidate presidents) and Enoch “Nucky” Johnson (who controlled all graft and bootlegging in Atlantic City during its heyday in the Roaring Twenties). Nucky, of course, is the inspiration for the hero of the highly fictionalized HBO series Boardwalk Empire, in which any even more heavily fictionalized Frank Hague makes an appearance every now and then. Personally, I find the nonfiction versions far more interesting, which is why I wrote the book. 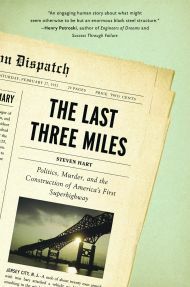 Then there’s The Last Three Miles, my first nonfiction book, which covers the construction of the first superhighway project in the United States, and the bloody labor war that erupted during the completion of its final phase, now known as the Pulaski Skyway. If you’ve ever driven that not-quite legendary span, you might think it was designed by madmen. In fact, it was designed by extremely competent engineers who were working on the cutting edge of new technology, and who saw their work undone at the last minute by political interference. Oh, I almost forgot to mention the sensational murder trial. Murder, politics, and traffic engineering — all the things that make the world go ’round. Since none of this would have happened if Charles II hadn’t signed that piece of paper, I think it’s safe to say these books have been 350 years in the making. How’s that for a cover blurb?